Karen Gillan has posted online one of the first pictures of herself and Matt Smith in costume as Amy Pond and the Doctor - taken at their initial camera test. The actress shared the image via Twitter on Tuesday, saying: "1st pic of Matt and I [sic] in character was released 4 yrs ago today [sic], but, I have the real one..from the 1st camera test". Having already appeared in the show as a soothsayer in The Fires of Pompeii in April 2008, Gillan made her debut as Amy two years later in The Eleventh Hour on 3rd April 2010. 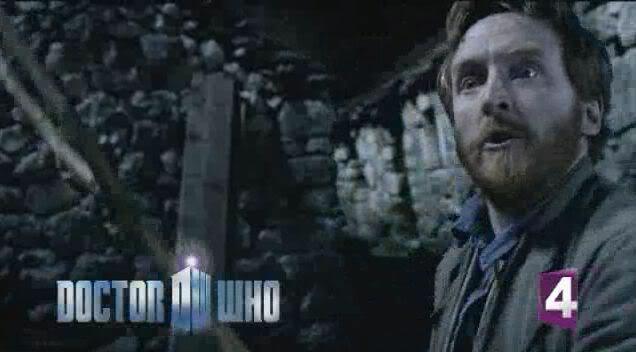 On 17th February 2010, the BBC released a montage shot featuring the duo to promote the start of Series 5, as reported by Doctor Who News, with the world having been given its first look at Gillan and Smith in costume seven months earlier, when an official image was released as filming began on the series - also reported by Doctor Who News. It is currently unknown when exactly the test photo - shown below - was taken. Doctor Who: The Eleventh Hour has finally lost its position as the most accessed programme on the BBC iPlayer since the launch of the service in 2007. Matt Smith's debut episode as the Doctor had clung to the top of the list since May 2010, shortly after it was shown on BBC One. The episode has seen off attempts by other dramas such as Sherlock, comedies such as Come Fly with Me and documentaries like Frozen Planet to dislodge it from the top spot, to retain the title of the most popular programme on iPlayer, ever. The two year reign at the top came to an end a couple of weeks ago when BBC Sport claimed the crown with the Opening Ceremonies of London 2012 which has been accessed around 3.4 million times, overtaking The Eleventh Hour which currently stands at 2.85 million requests. Doctor Who still retains the second place in the table, comfortably ahead of the third placed Sherlock: A Scandal in Belgravia. 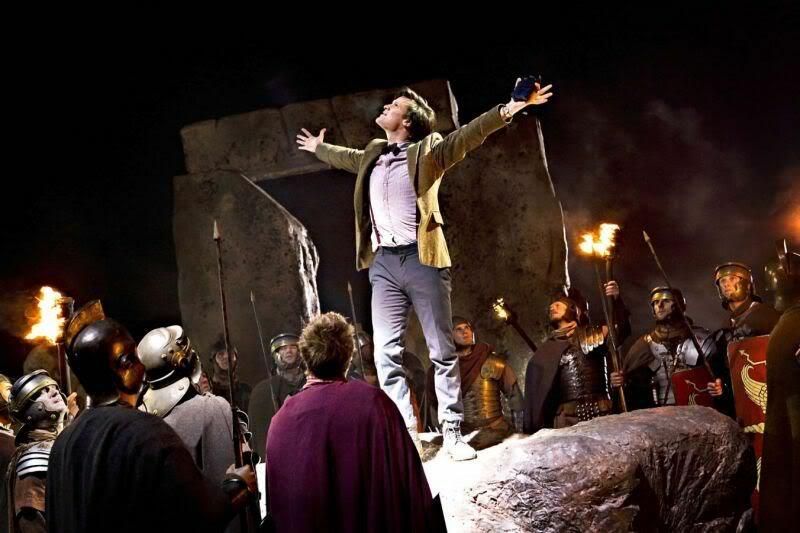 Doctor Who has won a HUGO award for the 2010 series conclusion The Pandorica Opens/The Big Bang. Written by showrunner Steven Moffat and directed by Toby Haynes, the story was shown last June when it wrapped up the events of Matt Smith's first series as The Doctor. The story beat two other Doctor Who stories, A Christmas Carol and Vincent and the Doctor as well as The Lost Thing by Shaun Tan and **** Me, Ray Bradbury by Rachel Bloom, to win the award for Best Dramatic Presentation (Short Form). The award is the fourth for Steven Moffat, having previously won for The Empty Child/The Doctor Dances, The Girl in the Fireplace and Blink. Last year the award was won by The Waters of Mars written by Russell T Davies and Phil Ford. The award for Best Related Work was given to Chicks Dig Time Lords: A Celebration of Doctor Who by the Women Who Love It, edited by Lynne M. Thomas and Tara O’Shea and published by Mad Norwegian. The book is a series of essays which delve into the extraordinary aspects of being a female “Doctor Who” enthusiast. Essays include Carole Barrowman discussing what it was like to grow up with her brother John, columnist Jackie Jenkins providing a Bridget Jones’ Diary-style memoir of working on “Doctor Who Magazine,” and novelist Lloyd Rose analyzing Rose’s changes between the ninth and tenth Doctors. The Hugo Awards are given every year for the best science fiction or fantasy works and achievements of the previous year. The award is named after Hugo Gernsback, the founder of the pioneering science fiction magazine Amazing Stories. Hugo Awards have been presented every year since 1955. The 2011 winners were announced on Saturday evening, at Renovation, the 69th World Science Fiction convention held in Reno, Nevada. Matt Smith, Karen Gillan and Arthur Darvill will be making an in-store appearance this Friday (8th) at the Barnes & Noble store in Fifth Avenue, New York, to sign copies of The Complete Series 5 boxed set. You will need a wristband to join the signing line for this event. Wristbands will be distributed starting at 9AM on Friday, April 8 with the purchase of the Doctor Who: The Complete Fifth Series boxed Set. Please call store for additional details. 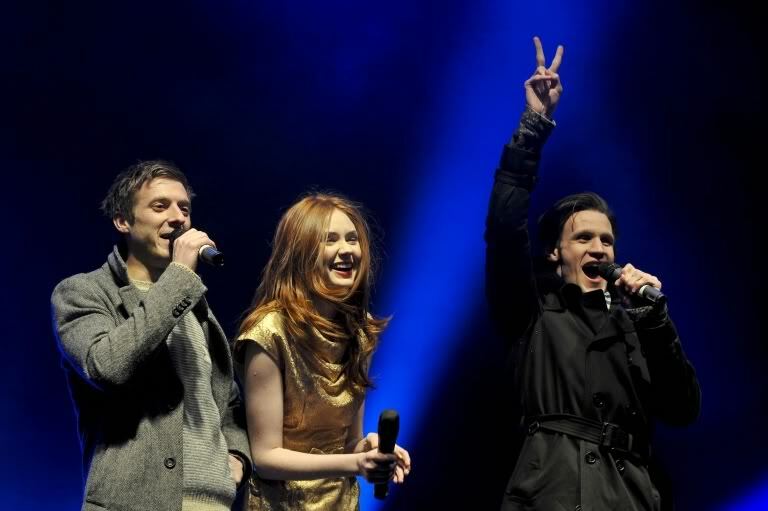 Last year, Matt, Karen and Steven Moffat went to New York for a publicity tour to promote Series 5. They attended a 'Meet the Cast' event at the Apple store in SoHo. It is not yet known if there will be a similar tour while the team is in New York this time around. French-speaking Canadians will get a chance to catch up with the last days of the tenth Doctor and the first series of the Eleventh, when Doctor Who returns to Ztélé this spring. The series kicks off with 2008 Christmas special, The Next Doctor, on Wednesday 6th April at 9pm ET. The rest of the specials will follow in subsequent weeks leading into Matt Smith's first series starting on May 4th. English-speaking fans in the country will be able to see Matt Smith's second series on SPACE shortly after its UK début.